Lowrance�, a world-leader in fishing electronics since 1957 � announced today the release of a new, innovative pulse compression radar, HALO24, which combines the performance and reliability of Lowrance�s award-winning radars with the advantages of a new profile and lightweight design. 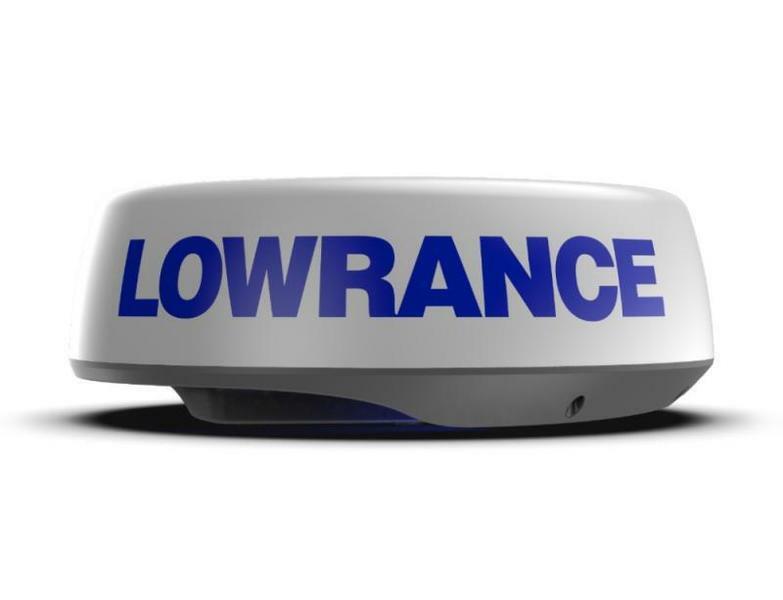 Boasting 60 rpm high-speed rotation at distances up to 2 nautical miles � an industry first � the Lowrance HALO24 dome radar allows for increased safety and improved performance. The extremely fast refresh rate is excellent for high-speed and short-range tracking. Offering high-quality short-, mid-, and long-range detection capability, up to 48 nautical miles, HALO24 is designed to process multiple ranges simultaneously for advanced, instantaneous Dual Range performance. In addition, the radar features integrated VelocityTrack� Doppler technology that provides instant visual feedback on the motion of radar targets in relation to the boat � color-coding approaching vessels for high visibility, while de-emphasizing diverging targets. HALO24 also includes MARPA functionality, increasing situational awareness and decreasing the risk of collision. The lightest 24-inch pulse compression radar dome on the market, the low-profile HALO dome offers different power-level options ensuring high-speed radar coverage when and where it�s needed. In a matter of seconds, the radar will boot from low-power standby to full functionality in any mode � harbor, weather, and bird. Incredibly easy to use, the radar will optimize up to 18 different parameters for each pre-defined mode ensuring the ultimate view. The new Lowrance HALO24 pulse compression dome radar is priced at $2,699 and is scheduled for October 31 availability from authorized dealers in the U.S. and Canada. An Ethernet-connected Lowrancemultifunction display or radar control unit is required for operation, and a heading sensor and GPS receiver are required for MARPA target tracking. For more information about HALO24 and other Lowrance marine electronics, or to locate an authorized Lowrance dealer.